Creating a lean warehouse or DC is not something a 3PL can accomplish overnight, but it’s something that can improve your efficiency, flexibility and ability to take on new business without expanding into new facilities or massively revamping existing ones. It takes vision, planning, strategy, tools, foresight, patience and intelligent tactics. When your warehouse is lean, it will be easier to hold, inventory, and pull the most important goods. This helps you eliminate errors, increase throughput, and satisfy customers more comprehensively. 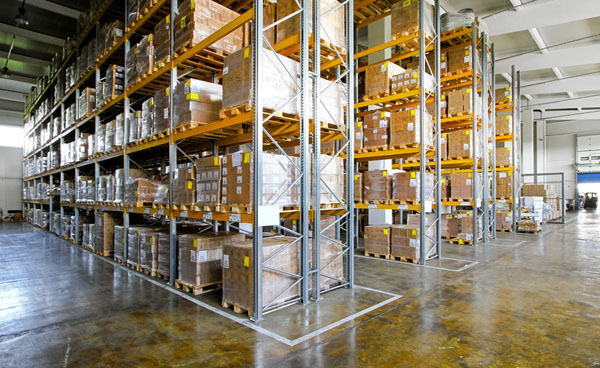 By administering best practice warehouse operations throughout your warehouse, you enable your 3PL to meet strategic delivery needs by improving materials flow, order pick & pack, replenishment, dock operations and maintenance of a swift information flow from source to delivery point, thus facilitating the coordination of the entire supply chain to get purchased materials in the right way, to the right place, and in the exact time they are expected. Waste in warehousing processes represents tremendous savings potentials and thus it should and can, using the right Lean tools, be identified and minimized. Most people think of waste as the waste of physical resources (broken inventory, or using too much of something like stretchwrap or cartons). Those things matter, but the waste that truly costs money is that of nonphysical resources – time, energy, space, and opportunity cost. Too much, or too little inventory: Any activity that results in excess – or lack – of inventory or placed in a different location where required. Poor visibility or inaccurate information over the existing inventory in the warehouse management systems will impact the preparation of orders and ultimately result in stock being unavailable for sales or shipping, thus increasing the frozen assets in the company. Movement: Unnecessary movement of people, such as walking, reaching or stretching, due to inefficient layouts, lack of ergonomic workstations, manual picking that involves more than just one ‘touch’ per item to prepare the order and make it ready to be shipped or picking trails not optimized. Returns/Rework: Activities that cause rework, returns or adjustments, such as customer guidelines which require too many manual operations, or delayed customer instructions which are received after the order was prepared, billing mistakes, inventory discrepancies, or materials missing, damaged, defective, wrong or mislabeled. Time: People, systems and material delays due to wasteful processes. Waiting for picking lanes replenishment, material or shipping approvals, waiting for data or waiting for correct materials and services to arrive due to poor replenishment planning. By recognizing problem areas and designing targeted Lean warehouse practices to combat them, you can have a great impact on the efficiency of the output of your 3PL.